5.9 x 4.5 x 1.7 cm. 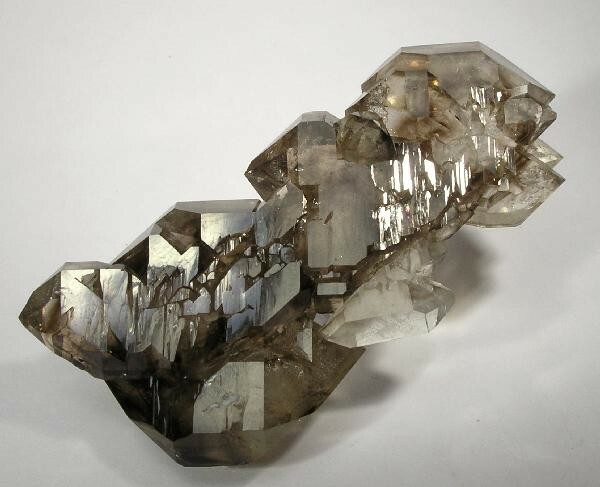 Stunning FLOATER cluster of superb Smoky Quartz crystals. Each and every crystal is gemmy with terrific luster, and is doubly-terminated. Save for just one ding, every crystal is also pristine. The largest Smoky is 3 cm in length. Ex. Steve Smale Collection.